Ligeia LP. 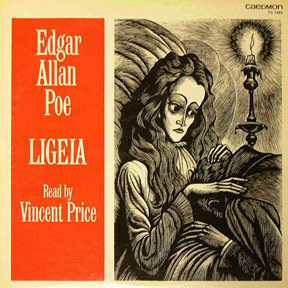 Vincent Price tells the story of Ligeia based on the Edgar Allan Poe works. Vincent also starred in the '60s film version.. Wallpaper and background images in the Vincent Price club tagged: vincent price horror movie ligeia edgar allan poe. This Vincent Price fan art contains anime, komik, manga, kartun, and buku komik.